WILMINGTON, N.C. -- Jeff Guard, founder and CEO of Brilliant Sole, definitely looks the part of today’s young tech entrepreneur. Late 30’s, affable and smart, the soon-to-be dad pops into the downtown Port City Java carrying a cardboard box full of circuit boards attached to flip flops and some sweet Yoda slippers. Enthusiastically launching into a description of his technology -- immersive, first-person foot-based locomotion -- he begins to describe a potential game-changer in the virtual reality (VR) world. Guard began his entrepreneurial journey several years ago when he got his hands on the Ernest Cline novel Ready Player One. “The book was dystopian, but it makes you think you could solve a lot of problems in the world by extending your presence efficiently, working remotely,” he said. The book hooked him on VR and Guard bought an early-stage Google cardboard headset along with VR gear for the Samsung phone. He soon found moving through those virtual spaces was terrible; you had to either use a joystick or a touchpad on the side of the VR goggles. Once you tried to use your feet to walk through virtual worlds, you came up empty. “They were and still are using teleportation to move over long distances. If you wanted to go 50 feet in a straight line, you needed to teleport there, you couldn’t walk, so you weren’t completely immersed,” Guard explained. As an experiment, the 30-something entrepreneur played around with microprocessors, putting them under an insole and tried it out in some web-based VR experiences. 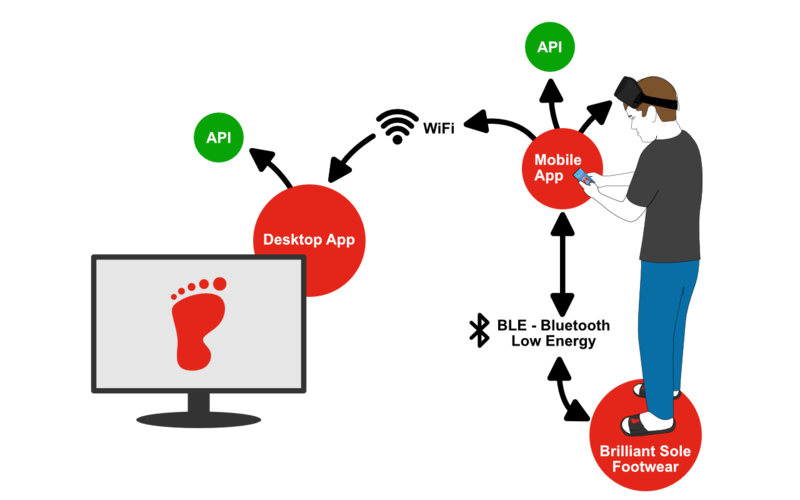 The foot-based device -- consisting of gauging sensors and haptic motors -- allows the user to control virtual movement from sitting or standing positions. Walking, skiing, running, all these and more gaming experiences are no-brainers for Guard’s patent pending foot-based technology. Brilliant Sole has a core team of technologists focusing on developing what Guard says is an ideal form factor for controlling motion. 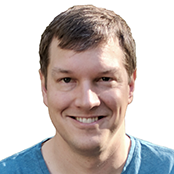 His goal is to build the tech into an open-source platform and get it into the hands of not only big gaming companies but creators for medical devices, the sports community, and footwear manufacturers among many others. “In ten years sensor-embedded footwear is going to be a big thing,” Guard said. In developing his business, Guard received initial help from UNC Wilmington’s Center for Innovation and Entrepreneurship, and is just now catching his breath as he reaches out to other key players in the region’s startup ecosystem. He’s been busy traveling around North Carolina doing demos and presentations, using some Yoda slippers to showcase the technology, relying on the universal appeal of the character to connect with his audiences. 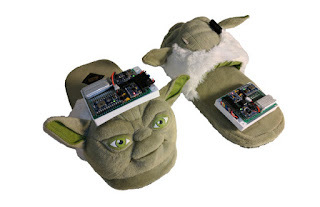 “My nephew had a pair of the slippers, I thought they looked pretty cool so I ordered a pair and used them to develop a prototype,” he said. The prototype has paid off with recognition including Exit Event Tech Madness 2017 winner, North Carolina Technology Association (NCTA) startup pitch competition finalist 2017, and most recently NCTA Top Ten Startups to watch 2017. Brilliant Sole has just recently begun actively raising capital and is looking to launch a crowdfunding pre-order campaign by the end of this year. For more information visit www.brilliantsole.com.